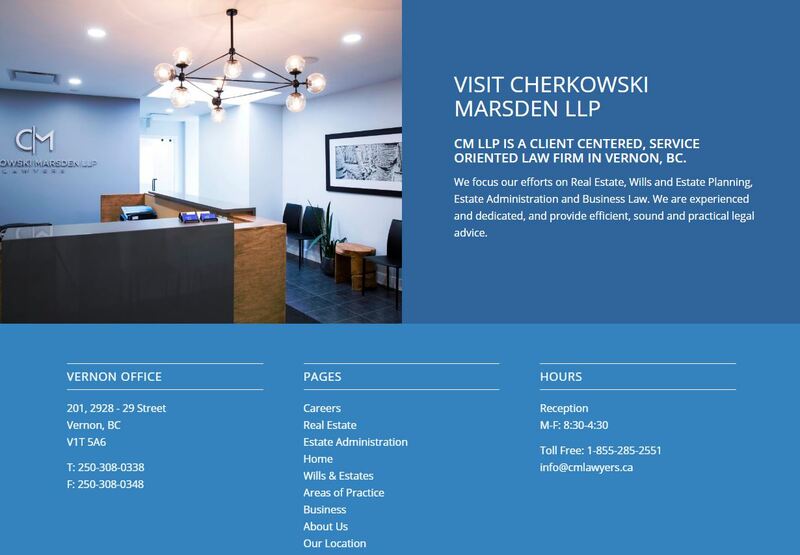 As a boutique Law Firm Cherkowski Marsden LLP provides a full complement of legal services to its clients in Vernon BC. The firm which brought together Karl Marsden and Kevin Cherkowski provides Real Estate, Business and Wills & Estates legal services. 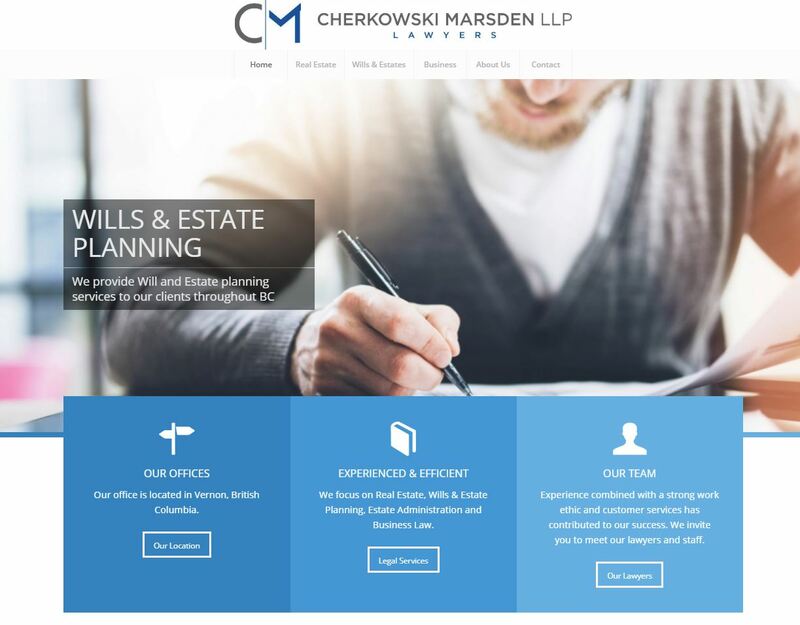 As both Lawyers were well established prior to beginning the new firm the website’s priority was in getting the fundamental in place to let people know where they had moved to and how to get ahold of them at their new offices. With a fairly tight timeline the challenge was to complete the project in approx 60 days. The main focus was on the new office, staff photography and in setting a mood on what to expect when you come and visit the firm. This is a friendly, unpretentious group who has exceptional services and excellent legal knowhow. The new website design needed to reflect these qualities and provide an inviting atmosphere and easy means of contacting the law firm. 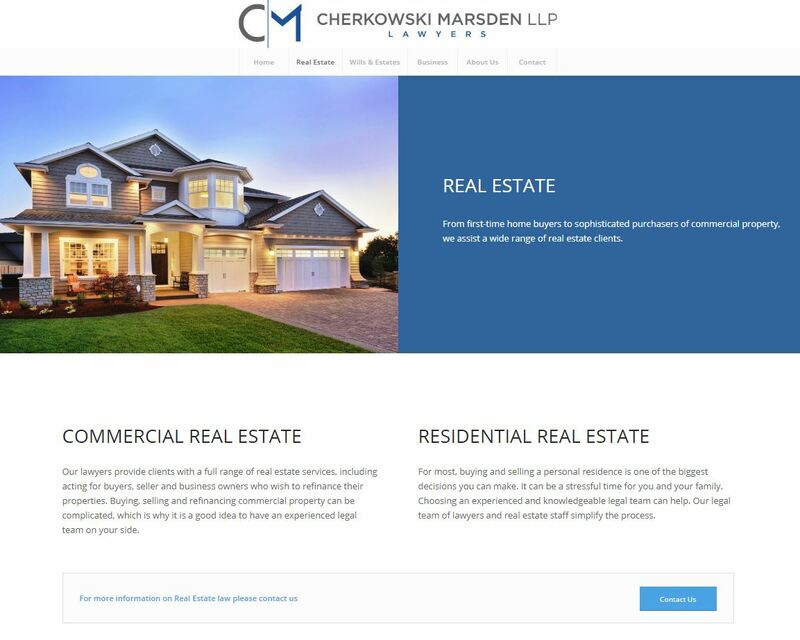 One of the advantages we had with CM Lawyers was the design freedom we had on the overall layout for the site. The process for this project was to provide a professional looking website with a real emphasis on their content. By putting the content marketing needs first we set the stage for an easy approach to implementation. We created the core pages and requested written content before we began the design of the site. This allowed us to align templated and page design elements easily and complete the project in a time effective manner. We created new calls to action on the website that focused on contacting the lawyers as well as learning more about the services they offered. With so many Law firms you end up dealing with lots of support staff and the partners felt that it was important to have their key staff profiled on the site. This really helped to create a friendly and inviting feel to their online presence. We built the site using our WordPress template solution and a comprehensive CMS platform that allowed us to make easy and efficient edits and changes to the site without having to go back and code or design things from scratch. This was important to follow as we had a short timeline and a modest budget. It also worked well because the Lawyers were not caught up in the design process. What they wanted was a professional looking site that was mobile friendly and worked well for their needs. 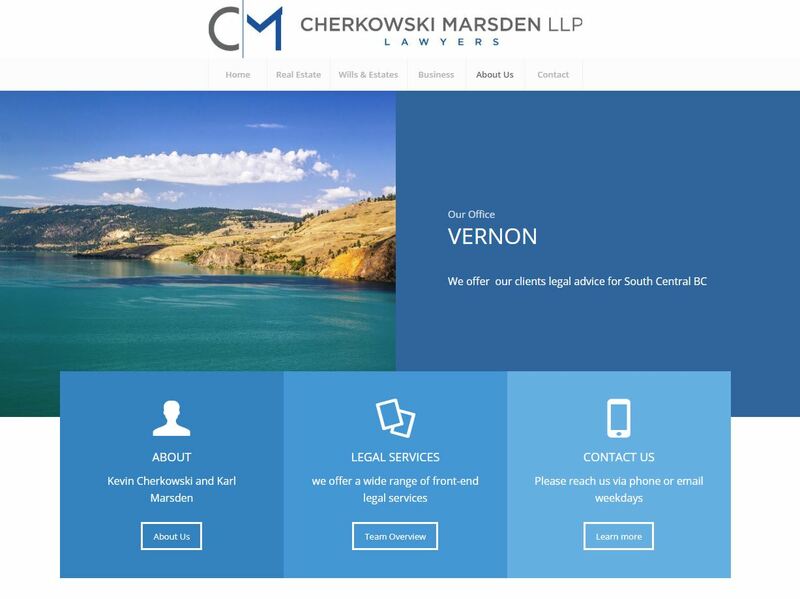 With an eye on functionality and a clear vision for site content it worked out extremely well for the boutique law firm in Vernon.